​Good evening, I am your host, Karen Hudes. Welcome to this DCTV Series about the Network of Global Corporate Control. Today's segment is pre-recorded and shows how humankind and the community of nations are confronting the Banking Cartel and how the Banking Cartel is now subject to the will of humankind. Thanks to DCTV, Carmen Stanley, Studio Producer; Maurice Jackson, Audio, and Prompter. ​We will also talk about how all of humanity is winding down the Banking Cartel under receivership in the Global Debt Facility. Run the company in order to maximize the value of the company's assets, sell the company as a whole, or sell part of the company and close unprofitable divisions. Secure the assets of the company and/or entity. Realize the assets of the company and/or entity. 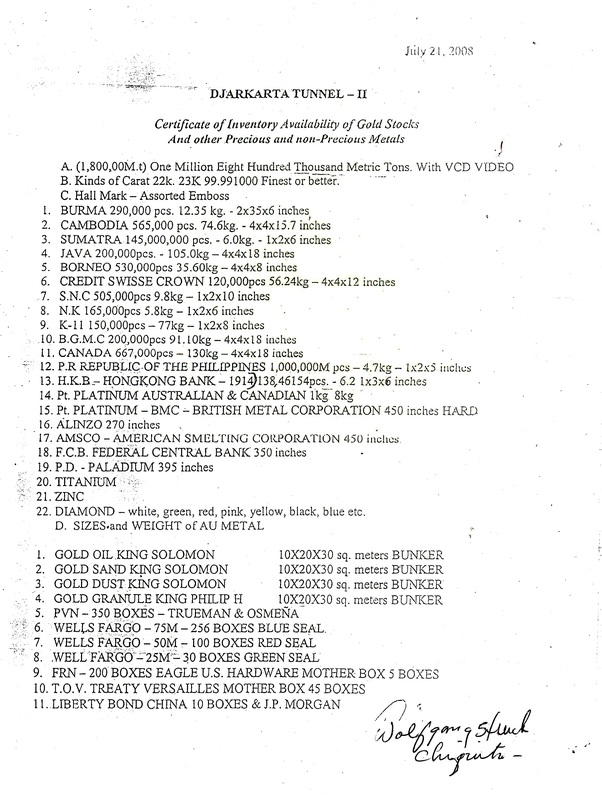 The International Bank for Reconstruction and Development (IBRD) was created in 1944 to administer the international monetary gold reserves of the nations, as well as other precious metals, gemstones, artwork, and treasure set aside after WWII in a trust called the Global Debt Facility, TVM-LSM-666. After the National Advisory Council on International Monetary and Financial Policies, that is the US Government Agencies set up to regulate the World Bank which includes the Fed, the Commerce Department, Treasury, and State, declined to bring the International Bank for Reconstruction and Development into compliance on the capital markets, on February 14, 2011 I notified the Board of Governors of the World Bank and IMF of this fact. On January 19, 2012, the Board of Governors attempted to bring the IBRD into compliance by settling my suit in the US Court of Appeals and reinstating me as Acting General Counsel of the IBRD. en.wikipedia.org/wiki/General_counsel Note - directly advising the board of directors in place of outside lawyers. ​The Judicial Conference of the United States, the Senate Judiciary Committee, and the sureties who bond the oaths of the federal judiciary simply stonewalled 188 Ministers of Finance and Development on the Board of Governors. A conglomerate on the capital markets that thinks it is above the law has been causing this corruption. The Secretaries of State of 11 states have recorded the liens against the Federal Reserve and the other agents of the Network of Global Corporate Control. Do you hear the truth, the whole truth, and nothing but the truth from the mainstream media? On December 18, 2015 the Development Committee of the World Bank and IMF fired the President of the World Bank, Dr. Jim Kim, and the Vice President of Human Resources, Sean McGrath. I registered my unlimited power of attorney for Allied Security Holdings LLC, also known as Allied Barton, on behalf of the Global Debt Facility with the Securities and Exchange Commission. But the Network of Global Corporate Control has dishonored its obligation to permit the Global Currency Reset that was announced by the Board of Governors to proceed. Instead, the Network of Global Corporate Control has caused Presswire to remove the Press Release from the internet. Can you trust the media for real facts? The press release was cleared by the Board of Governors of the World Bank before it was released, and remained on the internet before the Network of Global Corporate Control caused Presswire to remove the announcement of the Global Currency Reset illegally. In case you missed the fine print on the Presswire release: 09 March 2015 - The Board of Governors of the World Bank and IMF announced that fractional reserve fiat currencies will be replaced with gold from a trust created at the end of World War II. You need to see this news again! The US Congress suspended the Constitution of 1789, secretly extending a state of emergency since 1861, using war powers against the people of the United States to steal their property. The US Congress refused to convene a Convention in violation of Article V of the Constitution after more than 2/3 of the state legislatures submitted applications for amendment. The full extent of the interregnum is now squarely before the people. The United States of America will not be unilaterally torn asunder through a premeditated destruction in value of the Federal Reserve Note. Today's segment is about humanity winding down the banking cartel under receivership in the Global Debt Facility. Until next week, I am your host, Karen Hudes.